Satit Udomseuksa Students won Silver and Bronze in the first round of the International Mathematics Challenge VIII held at Pan Asia International School March 9. 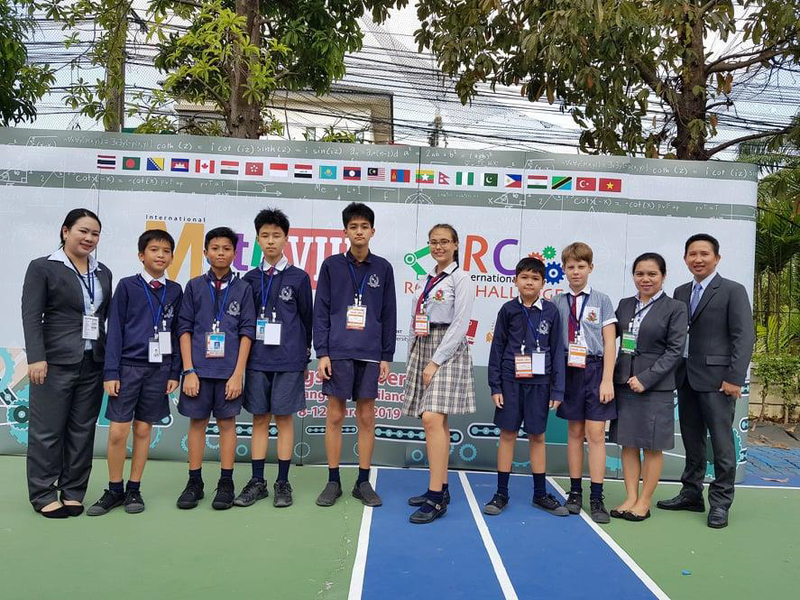 On 9 March 2019 the International Mathematics Challenge VIII First Round was held in Pan Asia International School, Bangkok. 20 different countries participated, including s Bolivia, Canada, Russia, Egypt, Iraq, Africa, Kyrgyzstan, Malaysia, Indonesia, The Philippines, Lao, Cambodia, Tajikistan, Thailand and others making up 250 teams and 800 students. The 3 categories were Primary 4 – 5 Category 1, Primary 6 – Secondary 1 Category 2, and Secondary 2 – 3 Category 3. Satit Udomseuksa School participated for the first time with 3 teams (1 team per category) made up of students from Primary 4 through Secondary 3, having a total of 9 students. These students earned Silver and Bronze for the school. The award ceremony was held at Suryadhep Music Sala, Rangsit University, in Bangkok, March 11.